Favourite thing to do in science: My favourite thing to do in science is to use natural ways and sources to power our modern living. This means using the sunlight to generate electricity and heat without polluting the environment or making any noise. It also means designing intelligent buildings that are cheaper to run and better to live in than traditional ones. Beautiful buildings with smart windows, and solar panels on their walls. I research and teach Renewable Energy and Energy in Buildings at the University of Ulster in Northern Ireland. 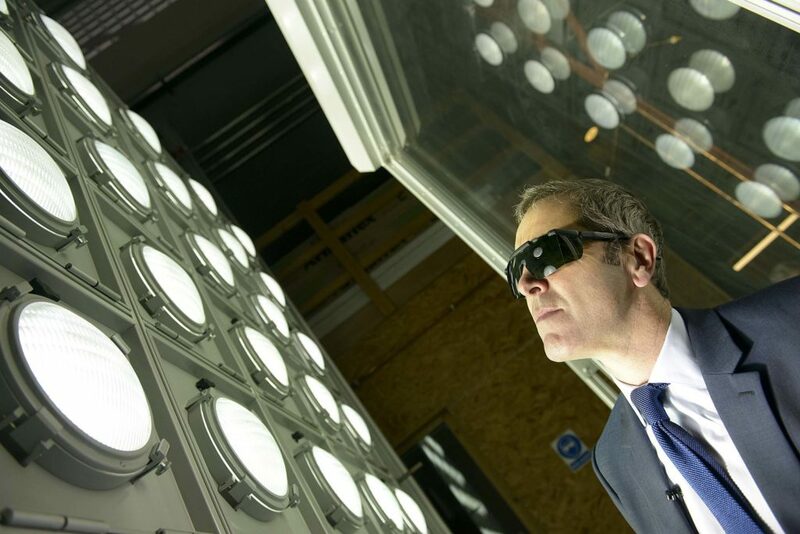 In my work I am looking for smart ways to generate electricity and heat from the sunlight and also design intelligent buildings that are cheaper to run and better to live in than traditional ones. 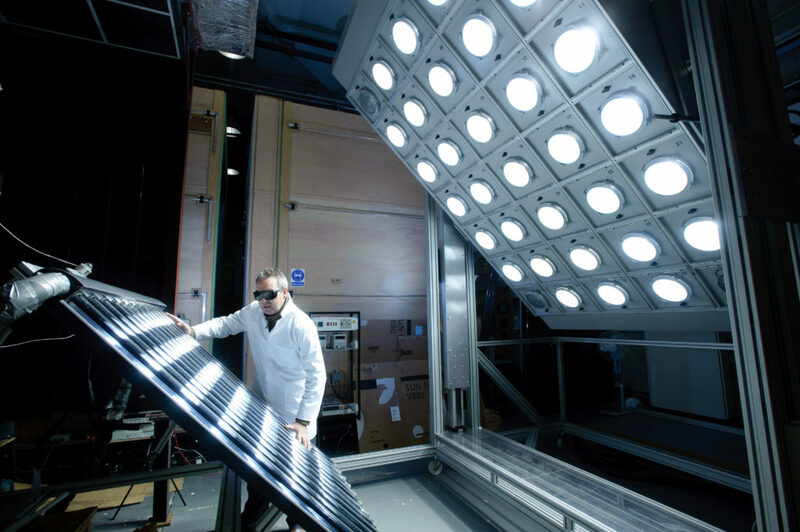 The first picture below shows the Solar Simulator in our laboratory. It is a big box with special lamps that produce light similar to sunlight. 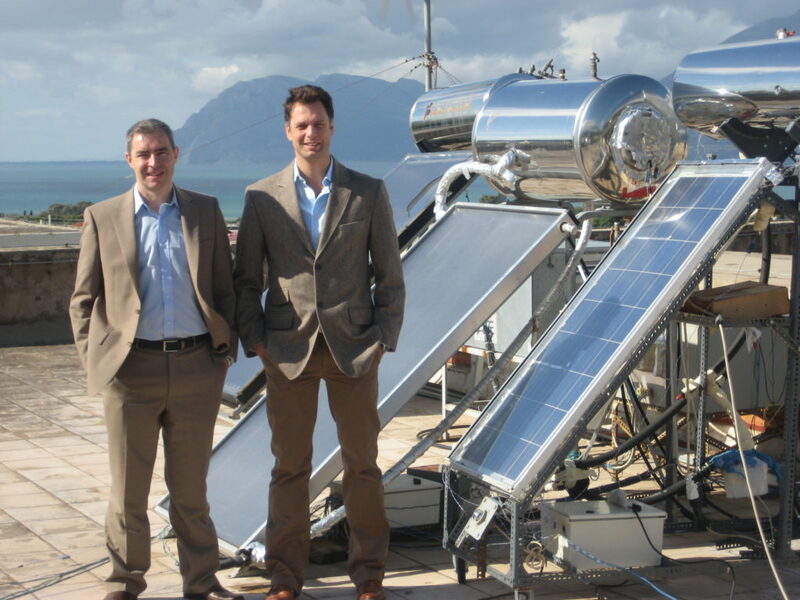 We use it to test solar panels and solar water heaters. 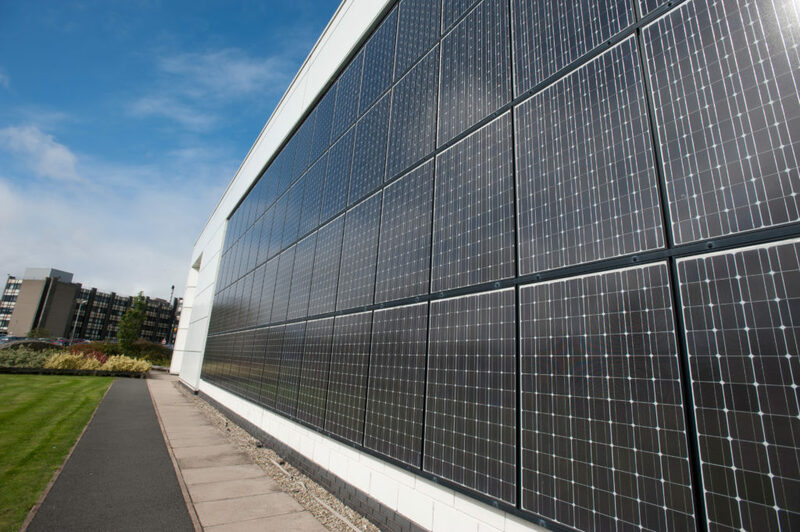 The second picture below shows the wall of our laboratory covered with solar panels that generate free and clean electricity from the Sun. Solar panels (photovoltaics) generate free and clean electricity from the sunlight. I would like to use the prize money to put together a solar panel demosntration kit for schools. Using the demo kit I can visit high schools and explain the advantages of the solar panel technology to the students. A demo kit is basically a PV panel with an DC/AC inverter. The panel generates DC electricity from the sunlight. The DC electricity is then converted to AC by the inverter and is ready for use by any electrical device. 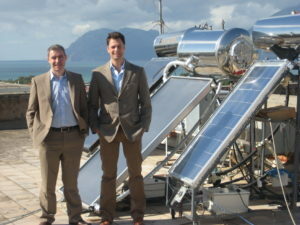 This is myself and a colleague on a visit to the outdoor test facility at the University of Patras in Greece. As a Scientist have you helped our planet or any animals so far and if so how? On the topic of theoretical physics, are any of you guys interested in singularities? do you guys research other ideas in physics such as string theory? If so what is you opinion? or any speculation at all? 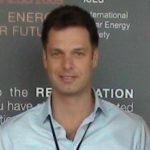 Is solar energy/photovaltaics likely to be the way all household are fueled? Why do shooting stars look like they’re falling or shooting in the sky? why does this happen?